This project involves the development of the new sports pavilion at Rhonda Scarrott Reserve, as well the refurbishment of the coastal community centre. 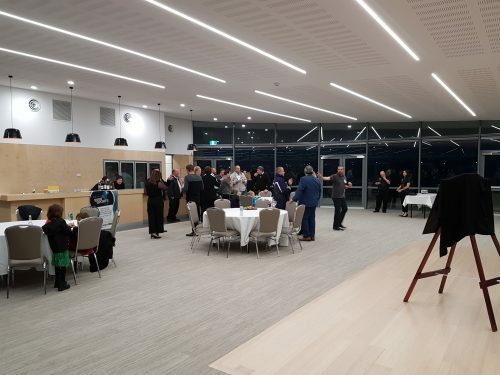 The new facility is the new home of the Secret Harbour Dockers Football and Cricket Club. The Golden Bay Sports Pavilion will include a social function space, kitchen, storage, office, toilets including a universal access toilet with adult change facilities, and an outdoor spectator area. 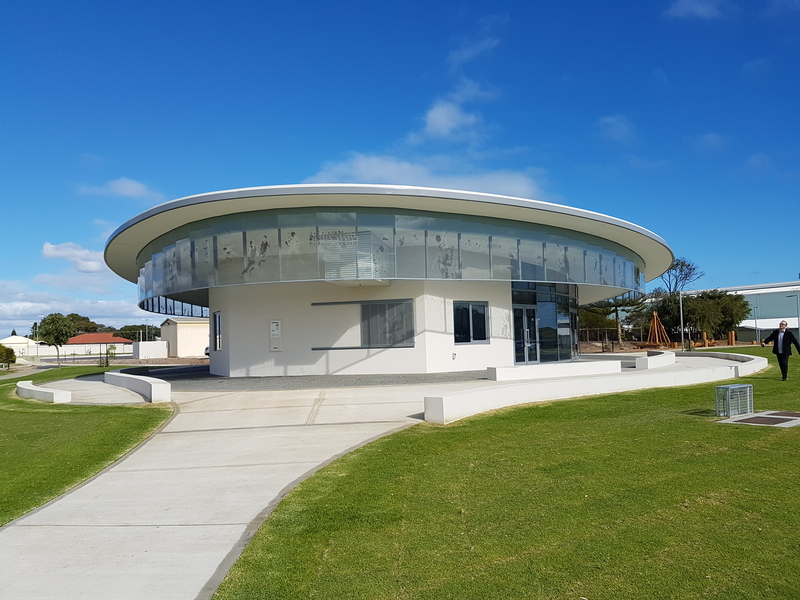 The coastal community centre is refurbished and includes additional change room, storage and a first aid room. 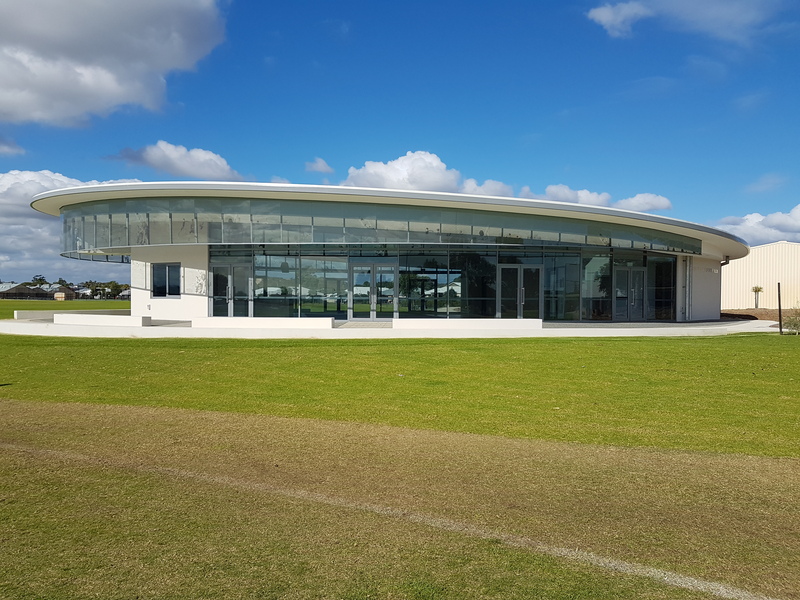 The new pavilion is location in between the two playing fields, with the curved glass facades providing panoramic views to both ovals. 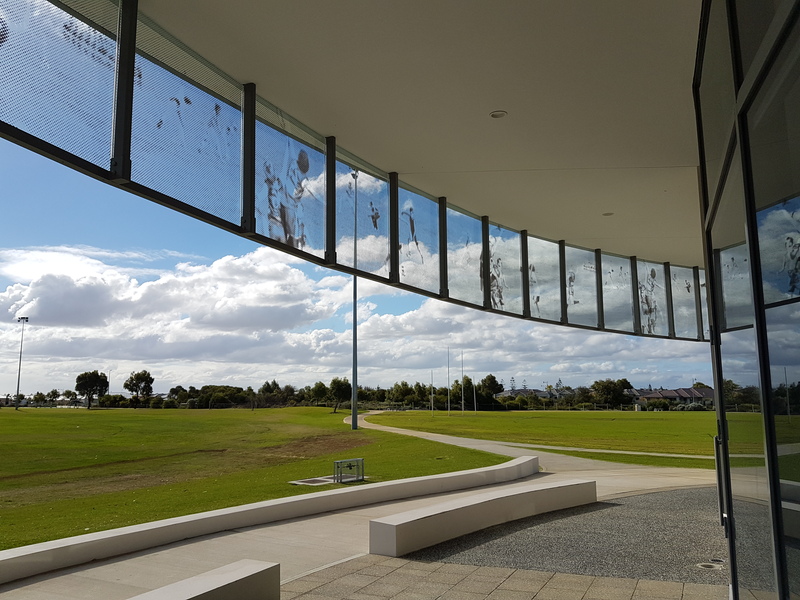 The building provides a seamless flow of internal function spaces and external protected spectator areas on both sides. The change room extension to the existing community centre provides further protected spectator stands and club facilities. 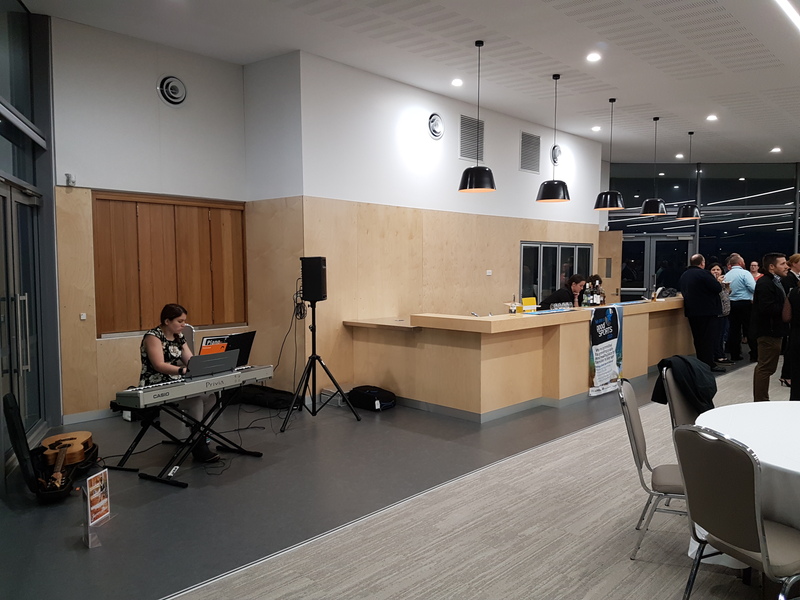 The simple layout of the pavilion allows not only the seasonal operation by two diverse clubs but, also creates a spectacular function hall for local community events and private functions.